Hi folks, We're back again for our November Release! Before we get into that, please note that this is the last release of the year as we take December off to enjoy the holidays. So, we wish you all a safe and happy holidays in advance! Let's get on with November Stamp Previews! We're switching gears and momentarily taking off our holidays hats to bring you some fun and fresh new designs for 2018! First up, is this large Botanic Thanks stamp set. One stamp, color any way you wish and you're done! 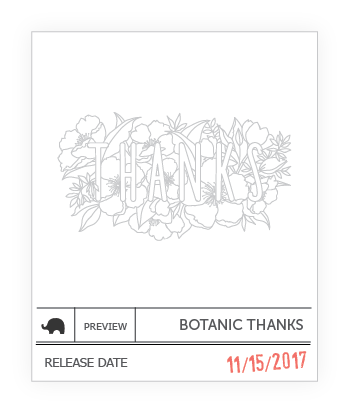 Botanic Thanks would be great for sending out stylish thank you notes for all those holidays gifts! As a nod to our roots, we designed a stamp set to celebrate the Lunar New Year coming up in February. 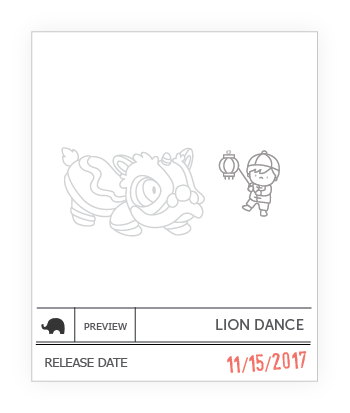 Lion Dance is based off a traditional dance, by the same name, performed during the Asian Lunar New Year and at weddings to bring good luck and fortune! My sister hired a lion dance performance at her wedding too! You can read more about it HERE. Luli Bunny is back with the most adorable piggies named Lovely Piggies! These oinksters are as cute and sweet as can be. We love Luli's simple and kawaii style, they are always so fun and easy to incorporate into our cards. I personally went overboard with this release and used the piggies nonstop! 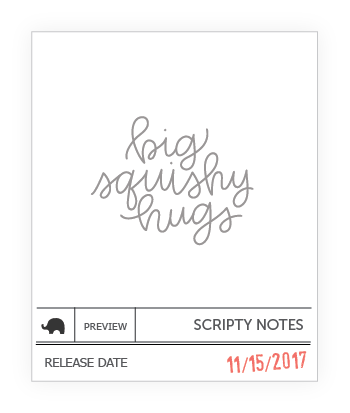 Finally, we've got Scripty Notes to round off this release. Scripty Notes features a bouncey, flirty penmanship. With so many squish-worthy sentiments in this set, it pairs nicely with the sweet images from Luli Bunny's Lovely Piggies set! Ohh loving the new release so far, as per usual you knock it out of the park. Ack! Can't wait to see the full reveal! I love that chinese new year set that is coming, it is really hard to find something for the oriental celebration in this market, I am happy to see one! YAY! 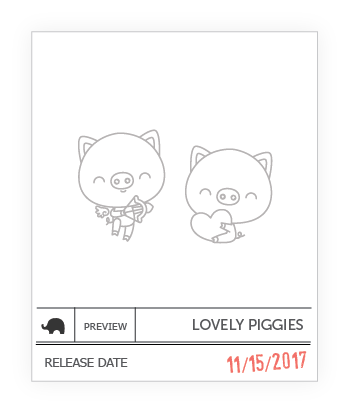 Those 'Lovely Piggies' are going straight into my cart :) Can't wait to see more! Happy Holidays to you all in advance. Awesome release preview. Love the images. Oh this is gonna be a great final ! اولا نقوم بتنظيف المدخل الرئيسي للمنزل حيث نقوم بزالة الاتربة و الرمالة الملتصقة علي جدران الواجهة و بعدها نقوم بغسلة عن طريق ضغط مائي عالي لازالة ما هو مستعصي او الملتصق بشدة بالاضافة الي خدمة تلميع السطح التي تقوم بها الشركة بعد عملية التنظيف لتصبح الواجهة نظيفة و لامعه ، بعد ان ننهي امر المدخل تقوم شركة تنظيف منازل بالرياض بتنظيف المطبخ الموجود في المنزل سواء كان مطبخ بمفردة او اكثر من ذلك و نعمل علي تنظيفه بطريقة مختلفة حيث تكون درجة حرارة المياه اعلي بدرجات حتي تتم ازالة الشحوم و الدهون من ارضيات الرخام و السيراميك و بعد ذلك نعمل علي تنظيفه بمرحلة ثانية بافضل و اقوي المنظفات التي لا تتوقف علي اي نوع من الاتساخات.